David and I woke up in Napa on Thanksgiving morning. It was a little odd to watch the Macy's Thanksgiving Day parade in a hotel room and to be away from our families, but all of that nostalgia quickly disappeared as we headed towards our Thanksgiving destination: Half Moon Bay. Throughout our trip, we'd been going "Holiday Inn" style, so when it came to Thanksgiving Day, David and I decided to splurge and stay at the Ritz Carlton in Half Moon Bay, California. The little town is about thirty minutes south of San Francisco and sits right on the rocky Pacific Ocean coast. The views are nothing short of amazing. We had a short but fabulous stay in Half Moon Bay. Thanksgiving Dinner at Navio was incredible. I was certainly thankful and feeling blessed for our wonderful Thanksgiving Day! Oh and can I just detour for a minute?? (just because all of you are big design dorks like me) Remember our bathroom renovation (yes, it's still a construction zone... back on that project in January, I promise!). 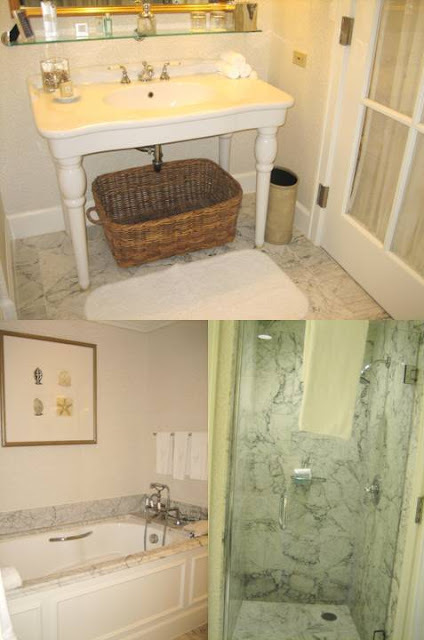 The bathroom in our hotel room at the Ritz was essentially from the pages of my bathroom inspiration file. It's like they read my mind. Aaaaanyways. Friday morning, we woke up and headed out to the last city in our trip- San Francisco. We stayed at an interesting boutique hotel right off of Union Square. Maybe it was the fact that it was Black Friday and the shopping district was insanely crowded and filled with lots of holiday cheer, but I loved the Union Square area. We even caught the Macy's Christmas tree lighting in the square. 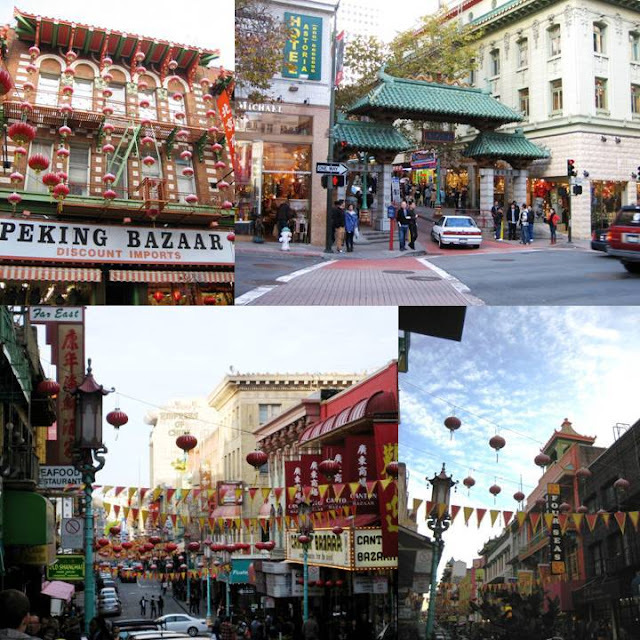 Here are a couple of the places we visited in San Francisco. The architecture in Chinatown was incredible. My best friend was actually in Hong Kong over the Thanksgiving holiday (I know, right? What a vacation that was!) and I kept wondering if we were seeing similar things! 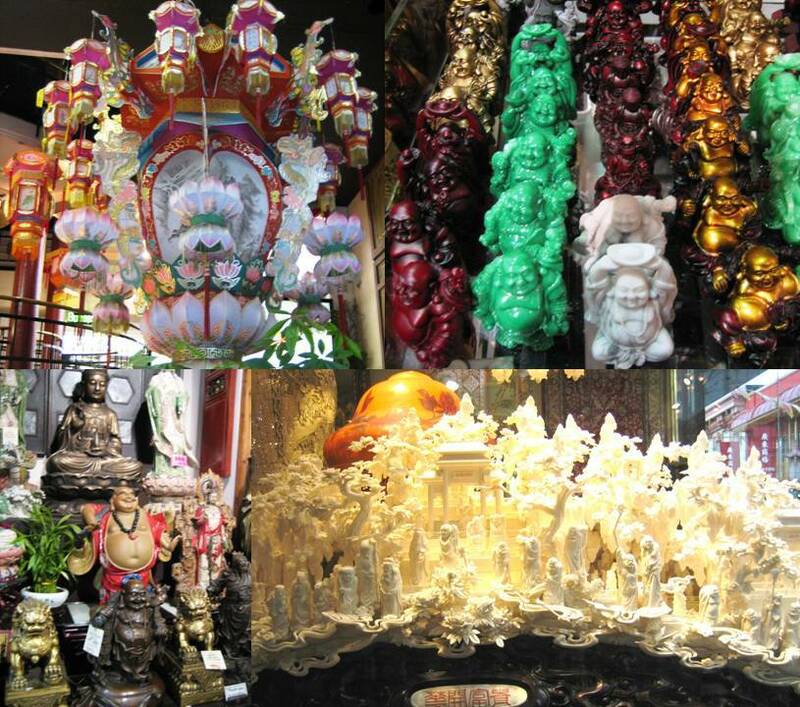 There was also lots of fun and interesting things for sale in Chinatown. And some really weird things.... Anyone need a fake plastic cat that looks incredibly real? 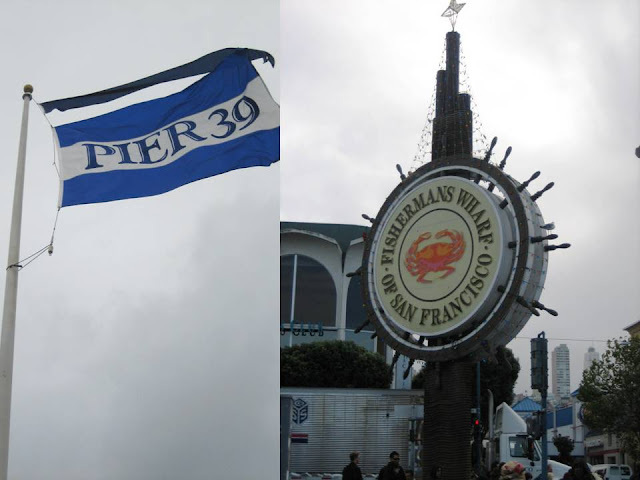 The next day, we made our way down to the water to some of the more "touristy" areas of San Francisco. I can't say they were my favorite areas. Lots of "Joe's Crabshack" and "Bubba Gump's" type restaurants and hokey shops. Although I wasn't digging it too much, I did buy an "I heart San Francisco" t-shirt from a street vendor! Gotta love cheesy souvenirs. I will have to say I just loved being on the water. 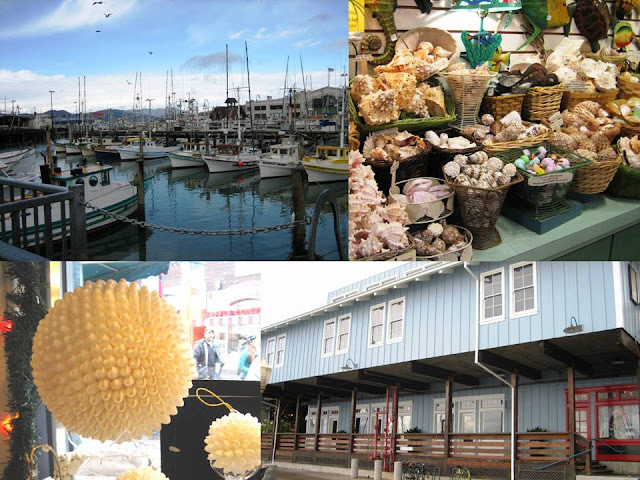 Everything seaside has always inspired me, and the sights in San Francisco were no exception. I just love these boats, shells and even nautical themed building exteriors. 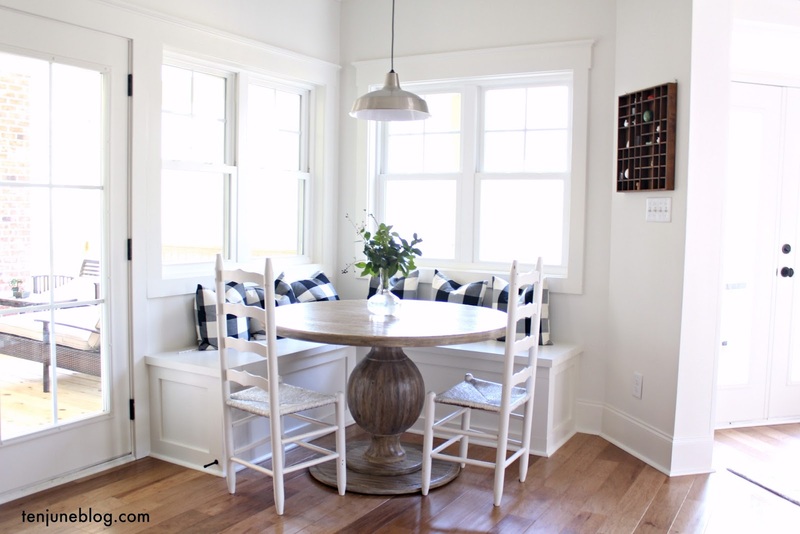 Seriously- how cute is that one doorway painted red? Love it. Even though I headed over to San Francisco's famous Ghirardelli Square a little weary of finding another tourist trap, I honestly fell in love with this little plaza as soon as we arrived. 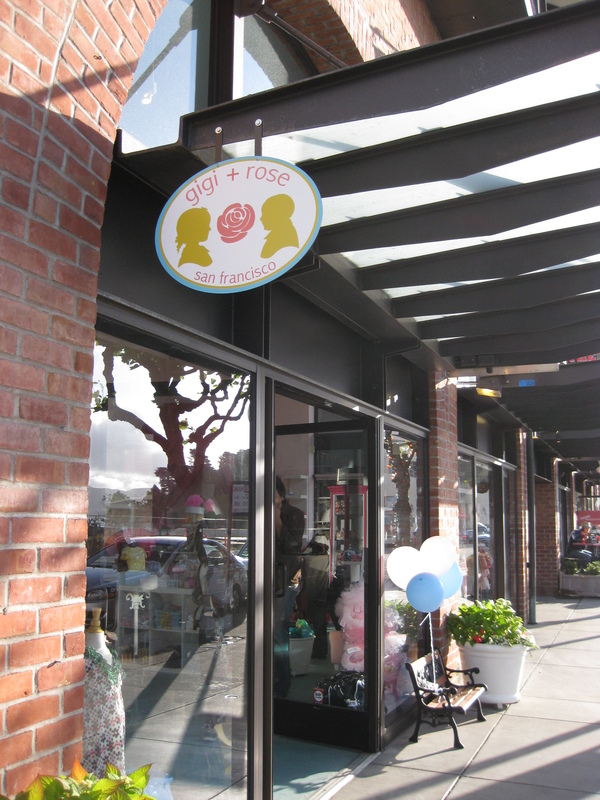 In addition to the Ghirardelli store, there are so many adorable shops in this little plaza. It is pretty much a mecca for any girly girl. Unfortunately, I felt a little awkward snapping shots of each place, so I don't have any shots taken by moi, but here are some pics from some of favorite stores' websites. So there you have it, folks. That's our ten day driving trip across the west coast, ending in San Francisco. We had the time of our lives and I am super jealous of any of you who actually live in these beautiful places! The west coast is gorgeous. Becca- please email me so that we can get in touch and we can send you over your print!! Hope everyone has a fabulous rest of the weekend!! Great pictures Michelle! What a fantastic trip you guys had. So beautiful! You were there on such a clear day! WOW!! What an awesome trip!! I have never been to the west coast! I need to for sure!! We also stayed at the Ritz when we were in HMB! And I was obsessed with the bathrooms too (in addition to the beautiful views) -- so gorgeous.